Very sturdy iron chair. 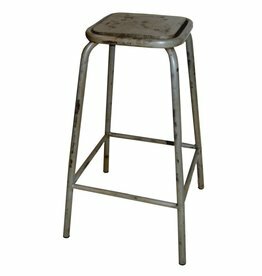 With its industrial appearance, it fits into any contemporary interior. There is a small badge on the backrest.